I love this paper! It's great. Belly buttons?!?!? 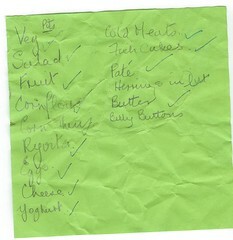 I'm not surprised that one isn't ticked off - they don't sell them in Waitrose (or any other supermarket I know of).